Driving up I-5 tonight, I was dazzled by the colors in the sky. Radiant pinks, purples, blues, yellows…just gorgeous. 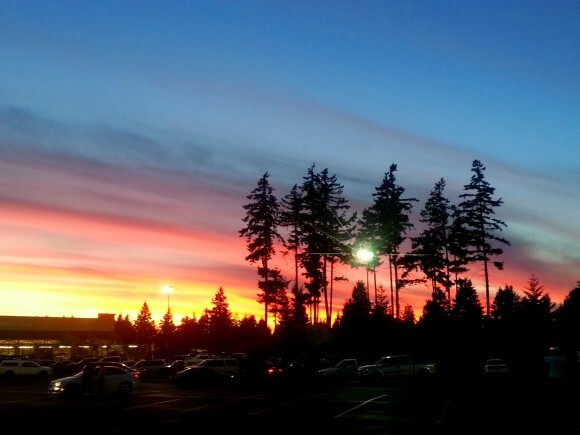 The sunset was so beautiful, I rushed to pull over into the nearest parking lot (a Wal-Mart) and took it all in. What a sight! ← New Traveling Thy Logo!